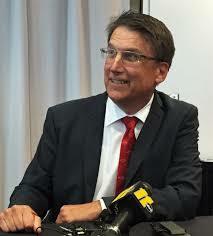 WataugaWatch: PolitiFact Rates McCrory's Claims as "False"
"We have not taken away any rights that have currently existed in any city in North Carolina, from Raleigh to Durham to Chapel Hill to Charlotte," McCrory said at a press conference Monday. "Every city and every corporation has the exact same discrimination policy this week as they had two weeks ago." “He’s completely wrong about that, unfortunately," said Carrboro’s town attorney, Nick Herman, about McCrory’s claim that the law doesn’t take away any existing rights. “It’s huge. It’s a massive loss of rights, and it happened with almost no debate,” said Eric Doggett, a Raleigh attorney who works in employment discrimination. PolitiFact found that Carrboro, for example, has had a policy for years that contractors paid by the town must have anti-discrimination policies that include sexual orientation or gender identity. HB2 specifically says that local governments do not have the right to put any such requirements on contractors. "I was absolutely shocked to hear that the governor – I give him all presumption of good faith – but for him to claim this bill does not change existing law means he is not being adequately advised," Carrboro's town attorney Herman said.